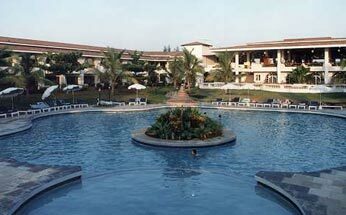 Holiday Inn Resort is stunningly snuggled at the striking Mobor Beach of South Goa. 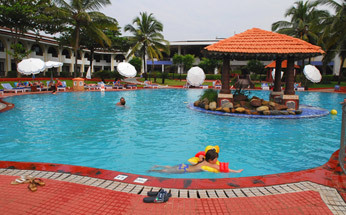 The resort situated at a distance of 17 km. from the Margao and 42 km. 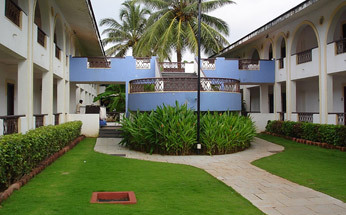 from the Dabolim airport is a premier resort in Goa. 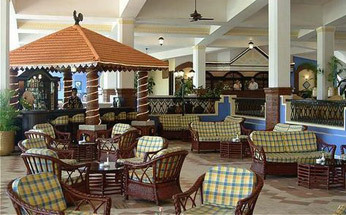 The architecture of the resort is a fine blend of tradition with royalty. 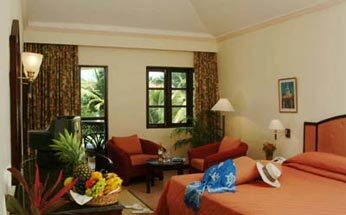 Holiday Inn Resort is located over a sprawling 25 acres stretch of beach. 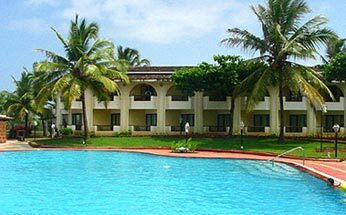 Besides, the resort has three restaurants, a 24-hour coffee shop, a bar with all the brands of Alcohol, a yoga centre and a state of the art fitness centre to rejuvenate your senses. The Hall of the resort has capacity to accommodate about 700 persons in theatre sitting and 350 persons in round table arrangement. 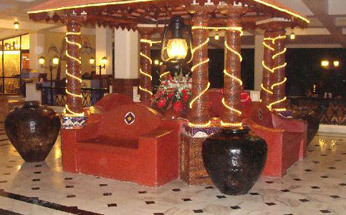 Décor : The hotel doesn’t provide for decorations so services of outside decorators can be taken. The resort also provides a section on beach for a couples weddings. 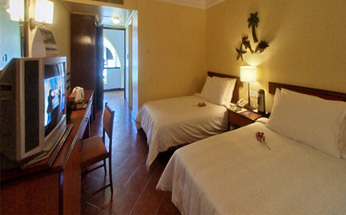 Holiday Inn Resort features 203 well appointed rooms classified into 52 Deluxe Rooms, 103 Plaza Rooms, 43 Plaza Pool View Rooms, 1 Handicapped Room, 3 Suites and 1 Kids Suite. 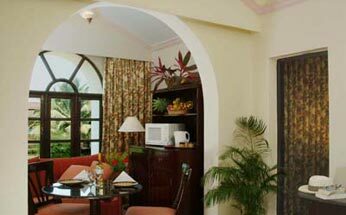 All these rooms are set amidst palm fringes, lush gardens and tenderly mowed lawns. 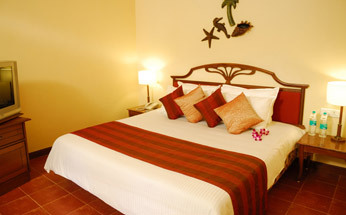 Every room and suite of the resort offers a stunning view of the azure waters of Arabian Sea. Dinning at Holiday Inn Resort is a delightful experience as resort is home to four restaurants and bars in addition to a casino and discotheque.